Supergeo Technologies, the leading global provider of complete GIS software and solutions, announced that GIS Global, Indonesia purchases SuperPad 3.1a through PT. Datascrip, Supergeo’s partner. The mobile GIS solution is to facilitate their customers with powerful GIS data collection application, which empowers surveying data collecting and management. GIS Global runs an online shop for GIS surveying equipments, including total station, digital theodolite, automatic level waterpass, geological tools and so on. In addition to geospatial products, professional consulting service for surveyors is also offered. 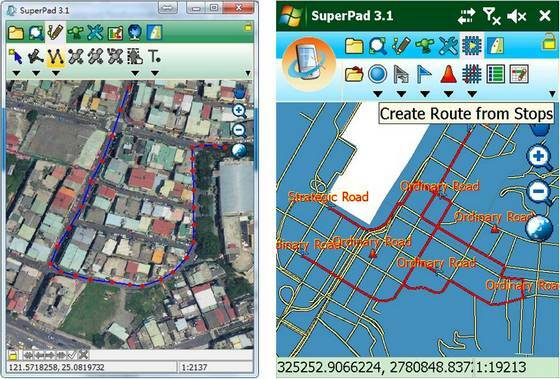 To enhance mobile GIS provision, GIS Global selects SuperPad 3.1a to enhance their field solutions. SuperPad 3.1a is the full-function Windows Mobile based application. Field workers can easily collect, edit, display and measure geospatial data with their mobile devices. The flexible developing possibilities and diverse extensions could personalize unique and highly functional platforms for uses in different domains. With SuperPad 3.1a, GIS Global is able to present their clients with a turnkey solution, to extend the hardware products’ functionality with efficient data collection, visualization, and GPS integration. A variety of raster and vector data are supported for easy data display and capture. For more information, please visit: www.supergeotek.com.